Rocks & Minerals: All About Identifying, Classifying, Rockhounding, and More! 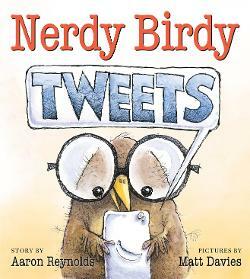 Nerdy Birdy and Vulture are unlikely friends, but their friendship works until Nerdy Birdy discovers Tweetster. Nerdy ignores his real friend for his online ones and then hurts Vulture’s feelings and must make amends. 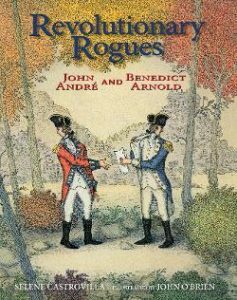 An American officer, Benedict Arnold, and a British officer, John Andre’ plot to bring down George Washington and the American army. If their plan had worked, the course of history would have been changed. Includes additional information. Enter the amazing world of spiders. 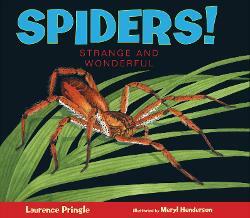 Find out how and where they live and the great variety of spiders that live around us. Includes additional information. 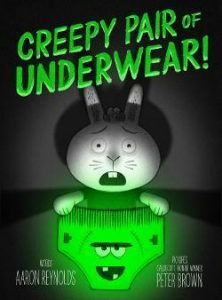 Jasper is a big rabbit now and chooses a pair of glow-in-the-dark underwear that turns out to be too creepy to keep but difficult to lose. After finally burying them, Jasper misses the green glow and buys a collection of creepy underwear! 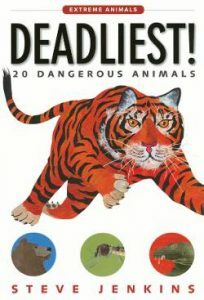 Provides facts and legends about animals that look scary but aren’t and animals that look nice but can be deadly. Includes a glossary. Describes how scientists developed the atomic bomb through the secretive Manhattan Project. 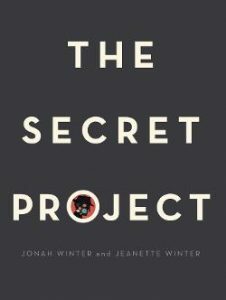 Follow the process from closing a school in the desert, bringing in scientists and workers in secret to testing the bomb. Includes additional information. 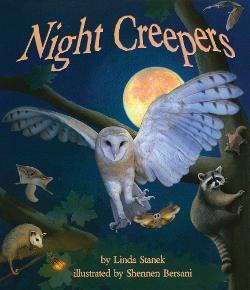 Rhyming text provides a look at nocturnal animals with paragraphs give more information about each animal. Includes activities and more facts. 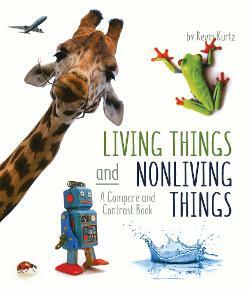 Provides five criteria for determining whether something is living or non-living. Allows the reader to decide if the criteria is met. Includes additional activities and information. 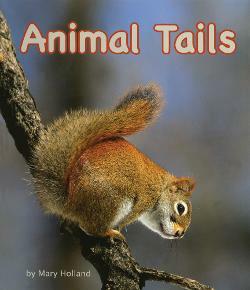 Discusses the ways animals use their tails to move, warn others, keep warm, find mates and many other things. Includes additional activities and information. 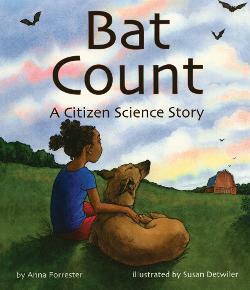 Jojo and his family count bats on they family farm to help scientists counteract declining bat populations from white-nose syndrome. Includes additional activities and information. Jenkins describes some of the most deadly animals including the bull shark, Kodiak bear and the mosquito. He also shows size comparison to man, where the animal lives and what it eats. Additional facts are appended. Sophie has trouble understanding why her mother would leave an exciting career as a singer to live on a small Nebraska farm. 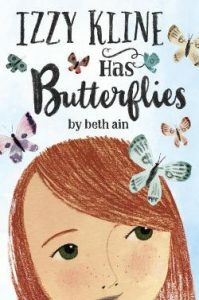 After writing the a column about the community one summer, Sophie begins how her mother could be happy with just her family. Hugo was a hamster with a dream – to be a firefighter. His interview was not going well when the alarm sounded. Hugo proves that bravery comes in all sizes and achieves his dream. 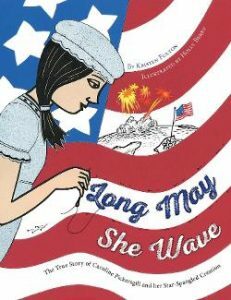 Thirteen-year-old Caroline Pickersgill helped sew the giant flag that flew over Fort McHenry and inspired Francis Scott Key to write the “Star Spangled Banner”. Includes additional information. 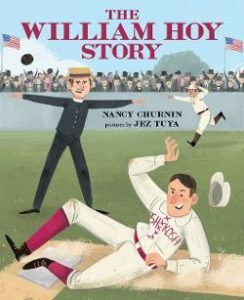 William Hoy was a gifted baseball player that led the league in stolen bases and he was deaf. Hoy convinced the umpires to use hand signals to make it easier for him to play. Includes additional information. 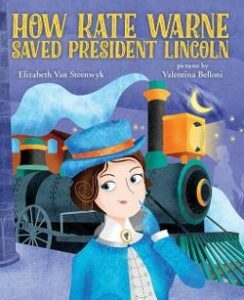 Kate Warne was the first female Pinkerton detective and was very successful. When the agency discovered a plot to assassinate President Lincoln, Kate was instrumental in saving him. Includes author’s note. During the Korean War Marines found a small mare with a big appetite and trained her to carry ammunition. 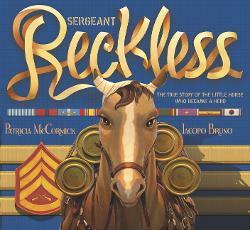 This brave horse is the only animal to earn military rank and two Purple Hearts. Additional information is provided. 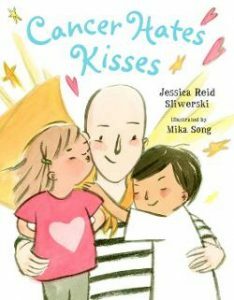 Follow a mother and her family through the stages of cancer, from the diagnosis and treatments to recovery. Includes additional information. 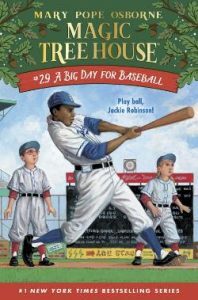 In their 29th adventure, Jack and Annie travel to Brooklyn and meet the new player on the team, #42 – Jackie Robinson. Harry and Doug want to win the mystery prize at field day. But Harry sneaky plans lead to cheating charges. Will they be able to clear his name? Joey and Mila are investigating again. 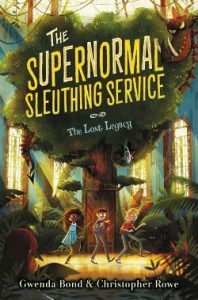 Two of their classmates found a mysterious note in book from the Little Free Library. The note said “STARMANN visit, Life on Mars!, Space Invaders!, E.T.! What could it mean? 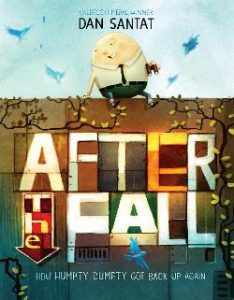 After Humpty fell the king’s men were able to put him together, but he was now afraid of heights. Humpty missed many of the things he used to do and eventually conquered his fear and learned to fly. 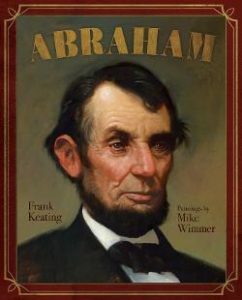 Biography of Abraham Lincoln told as first person narrative contains many quotes from Mr. Lincoln. Includes the Gettysburg Address and bibliography. 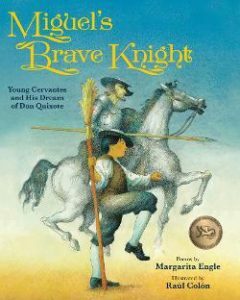 Free verse describes the life of Miguel Cervantes and his dreams of a brave knight that would become Don Quixote. 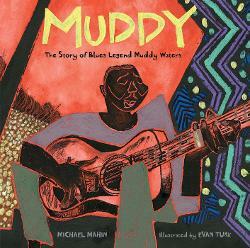 Muddy Waters wasn’t very good at doing what he was told and that stubborn streak led to the development of rock and roll music. Now the world could hear the music in his head. Explains the reason and process Dr. Seuss used when writing The Cat in the Hat and Green Eggs and Ham. 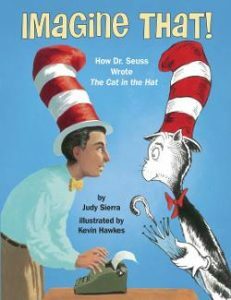 Includes an interview with Dr. Seuss and other information. 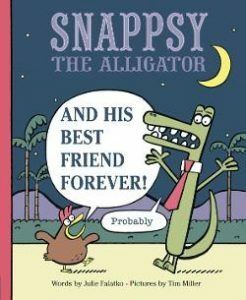 Snappsy is enjoying a quiet day running errands until an annoying chicken declares himself Snappsy’s best friend. After a long day, Snappsy decides having Bert around is more fun and invites him to move in. 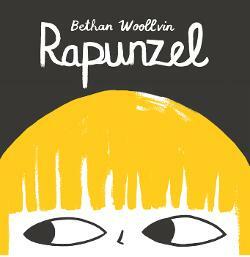 Rupunzel rescues herself from the tower, takes care of the witch and embarks on a career hunting evil witches. 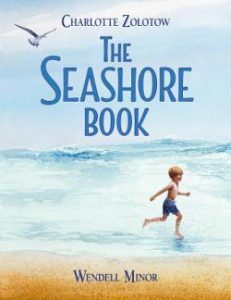 A young boy and his mother imagine spending a day at the seashore. 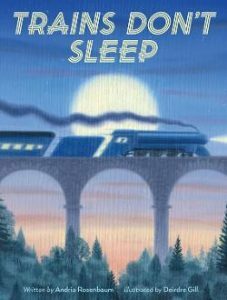 Provides a rhyming description of different types of trains. 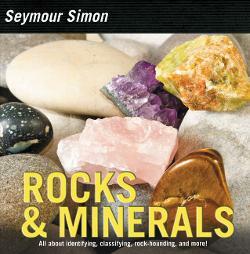 Entry level guide for identifying rocks and minerals provides many pictures and properties of common rocks and minerals. 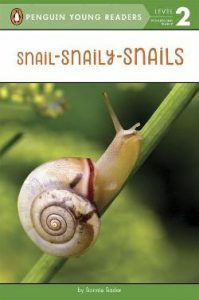 Simple, easy to read introduction to snails. Describes how they live and shows different types. 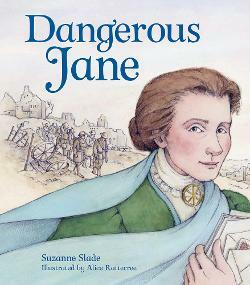 As a small child, Jane Addams wanted to help the poor and hungry. As an adult she founded Hull House to do just that and when WWI broke out she worked for peace and to help the poor and hungry around the world. 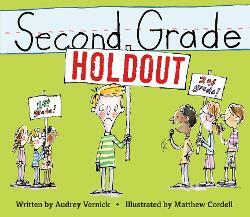 Second grade is going to be different and scary and that’s why this boy is staying in first grade. 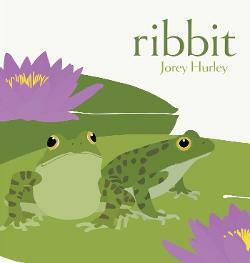 Large illustrations and simple text provide a glimpse into the life cycle of a frog. Includes author’s note with additional information. 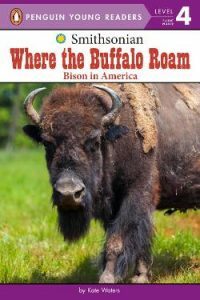 Provides an introduction to the bison and the role they played in America’s history. Describes the animals at the top of the food chain now and in the past. 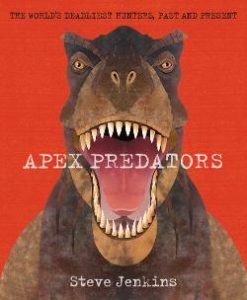 Meet the Komodo dragon, the terror bird, the Titanoboa and many others and see how their size compares to man. Plus who would win in match ups. Includes additional information. 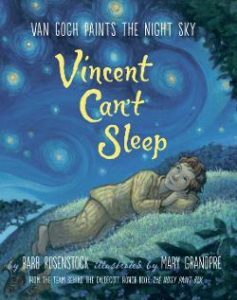 Vincent Van Gogh was fascinated by the night sky as a young boy and would often go out to draw what he saw. As an artist, he continued to paint and draw what he saw even though his paintings were not popular then. A young boy and his grandfather participate in the Rolling Thunder Ride for Freedom in Washington D.C. to pay tribute to friends and family that have served in the military. 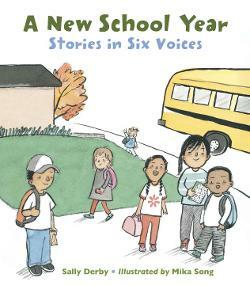 Poems express the emotions of six students grades K-5 about the first days of school. 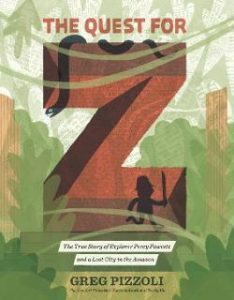 Recounts the unsuccessful attempts of Percy Fawcett to find the fabled Amazon city of Z while surveying for the British government. 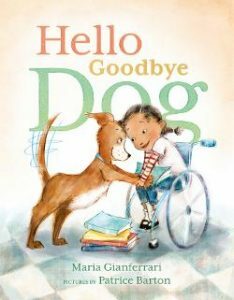 Eli, a big shaggy dog, was there when Astrid came home from the hospital, her first friend. Now as Eli is growing older, Astrid tries to give him special experiences, but Eli is just happy to spend time with Astrid. 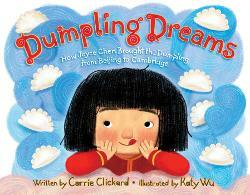 Jia (Joyce) learned how to cook many delicacies in China. After moving to America, she introduced these foods to the East Coast. A biography told in rhyming couplets. Includes additional information. 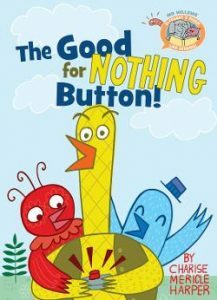 Three birds find a button that does nothing when pressed except change the bird’s emotions. Twig, Basil and Lily set sail from the Hill to find Char’s (a baby dragon) home. After being rescued by turtle and left on an island they discover more baby dragons. One of the crew betrays them, will they be able to reunite the dragon family and survive? 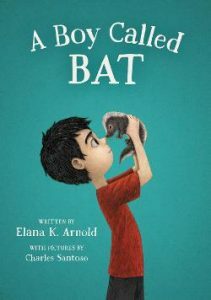 Third grader, Bat (Bixby Alexander Tam) is on the autism spectrum. His mother, a vet, brought home a baby skunk to care for until it could be released. Bat bonds with the kit and plans for a way to keep it forever. This is the first book in a series. 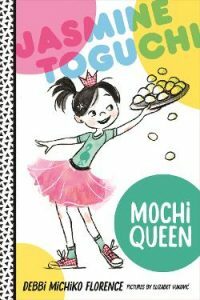 It’s Japanese New Year and the family has gathered to make mochi but Jasmine is too young to help and must babysit, again. Follow Jasmine as she battles for a special place. 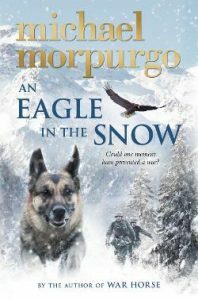 This is the first book of a new series. 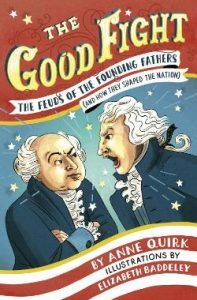 Describes the disagreements of eight of the founding fathers: George Washington vs. King George, Benjamin Franklin vs. his son, William, Alexander Hamilton vs. almost everyone, and John Adams vs. Thomas Jefferson. How did their feuds shape our history? Includes additional information. 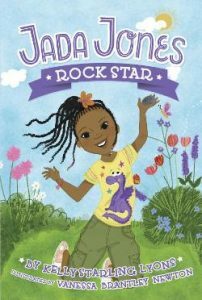 Jada’s best friend moved away but the rock unit at school seems like a good way to make friends while studying her favorite thing. Unfortunately one of the girls in the group is mean and doesn’t like Jada’s ideas. Is she caught between a rock and a hard place? Will she make new friends? 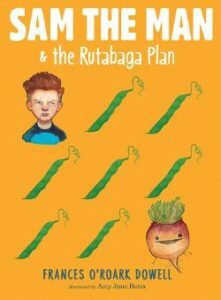 For the second grade vegetable project, Sam gets the rutabaga because no one wanted it. At first he’s not happy, but after he gives it a face he decides to make it the happiest rutabaga ever. Friday Barnes has several mysteries to solve, her mother has been kidnapped, her father has been framed for thefts while working at her boarding school and there’s something fishy with that Norwegian princess. 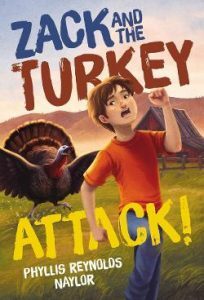 Each weekend when he and dad visit grandpa’s farm Zach is attacked by a tom turkey. 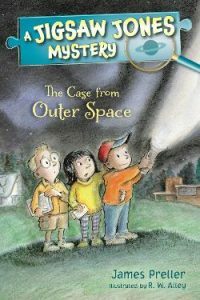 He and a neighbor girl try to invent a machine to trap the turkey while solving a mystery involving a bunch of missing objects. 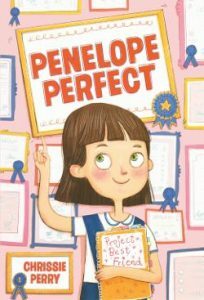 Penelope tries to excel at everything and be perfect. 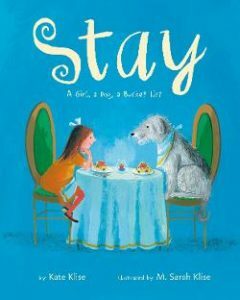 When she decides she needs a best friend, reality doesn’t match her ideal friend. Grandpa advises to “go with the flow” and Penelope discovers a friend was there all the time. 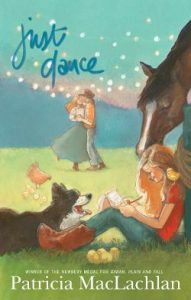 Emma is spending her summer helping her aunt at the Cloverton Clinic for Magical Creatures. Her talent of talking with animals will help solve a mystery and help an unicorn with issues at the Triple Trident. Stephen and his father move to New York to run the kitchen in the hotel after his grandmother died. He is surprised to learn that his grandmothers stories of monsters she cooked for are real. 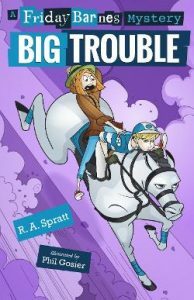 He quickly becomes involved in several mysteries and luckily has new friends to help him solve them. 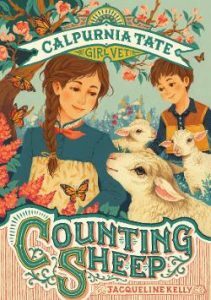 Calpurnia Tate is back doctoring animals much to her mother’s dismay. She puts a splint on a butterfly wing and helps deliver lambs from her mother’s prized ewe. 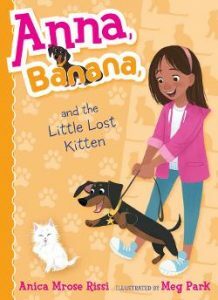 Anna finds a lost kitten but her dog, Banana, scares it away. Anna tries to catch the kitten but it takes all her friends to accomplish the task. Next they have to find a good home for it. 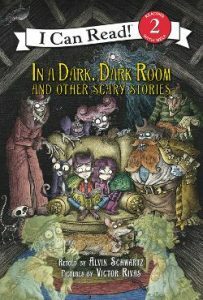 Re-illustrated version of 1984 classic provides seven scary stories for young readers. 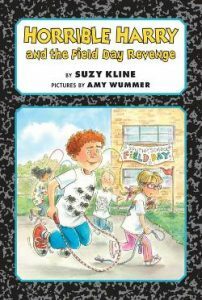 Relive the moments of fourth grade as Izzy deals with family problems, making new friends and auditioning for the school play. 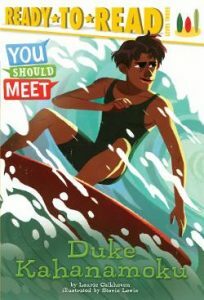 Introduces Duke Kahanamoku, a Hawaiian surfer who won 5 Olympic medals for swimming. He also was an actor, a sheriff and an ambassador for Hawaii. He once rescued 8 fishermen with his surf board and popularized the sport of surfing around the world. 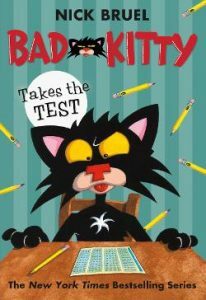 Bad Kitty receives a letter from the Society of Cat Aptitude Management about his un-catlike behaviors and must take a remedial course and pass a test to retain his cat license. The teacher is a dog and the test has very little to do with being a cat. Jack and his grandpa are very close, unfortunately grandpa is losing his grip on reality an thinks he’s still an RAF pilot in WWI. 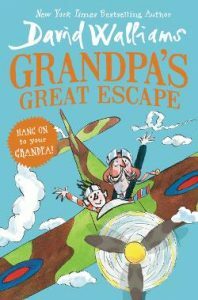 When grandpa goes to live at a retirement home run by shady characters, it’s up to Jack to rescue him and the other residents. 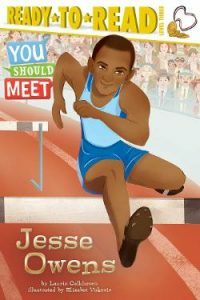 Biography of Olympic great, Jesse Owens, starting with his childhood in the Alabama cotton fields and culminating with his triumph at the 1936 Olympic Games in Berlin. 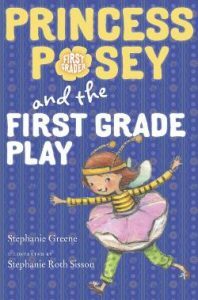 Posey’s first grade class is putting on a play about bees and Posey really wants to be the queen bee. The part goes to Caitlyn and in a fit of pique Posey steals her bee eraser. The guilt is overwhelming, what will Posey do? Matt must set up and run a business to improve his math grade. 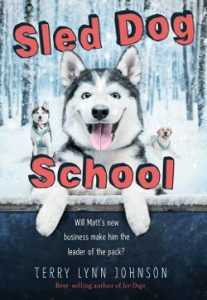 He enjoys working with his dog team and decides to start a sled dog school and teach how to run a team. Matt learns as much as his students and gains a couple of friends. 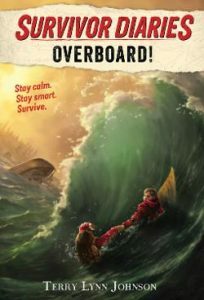 A eleven year old survivor recounts how he and a girl survived after their whale watching boat capsized. 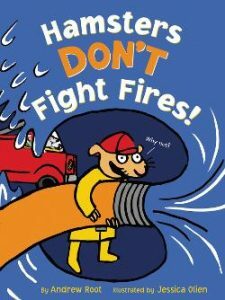 Includes tips from the Coast Guard. Maya Lin’s design was chosen from 1,421 entries for the Vietnam Memorial. 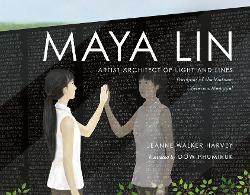 Explore the way Lin came up with her design and all the elements that influence her in this biography. 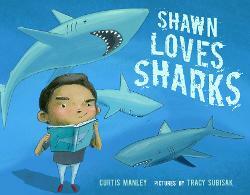 Shawn thought about and read about sharks (he had 127 books) all the time. His favorite thing to do at school was to pretend to be a shark and chase the kids, especially Stacy. Things changed when Stacy became a shark and Shawn was a seal until he hurt Stacy’s feelings. Could a shark and a seal become friends? 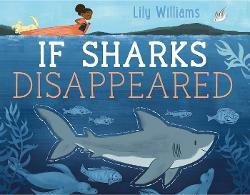 Imagines what would happen if the shark was removed from the top of the food chain. Their disappearance would have repercussions across the planet both in the ocean and on land. As a child, Isaac Newton was curious, always reading and asking questions to learn. As he grew older he used these qualities to solve problems and invent things. 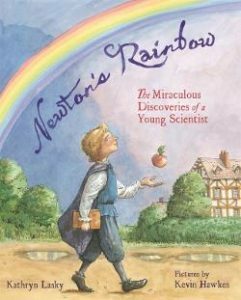 His greatest discoveries were gravity, calculus and the secrets of the rainbow. 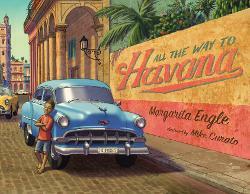 A young boy and his family take a road trip across Cuba to visit relative. Cara Cara, a 1954 Chevy, has to be tinkered with before they set out and see the sights. An artist prepares to paint a picture and looks at the masters for inspiration. 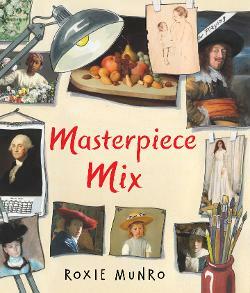 Introduces famous works of art and the process used to paint. 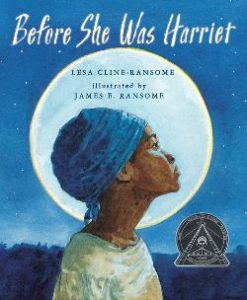 Harriet Tubman looks back at her life and the many roles she played including spy, suffragist, guide on the Underground Railroad, and slave. She also reflects on the names she used at each stage of her life. 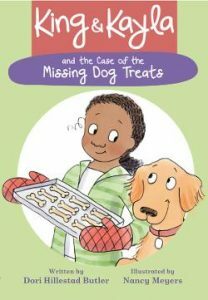 First in a series featuring a dog, King, and his human companion Kayla, as they solve mysteries using problem solving skills. Margaret was always curious and that curiosity led her to search for answers. 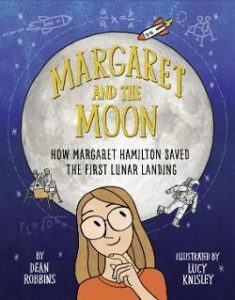 She became a programmer for NASA and was able to save the first lunar landing mission. Additional information is included. 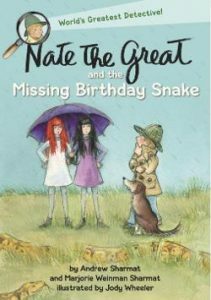 Nate the Great encounters a mystery during a birthday party when one of the four snakes disappears. 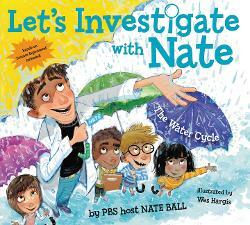 Will Nate find the missing snake or will his dislike of snakes prevail? 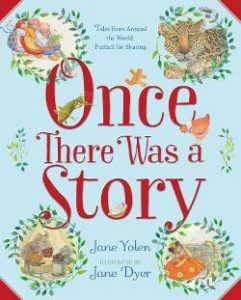 Over 30 well-known (and lesser known) fairy tales, fables and stories from around the world are retold in this collection and includes two tales by Jane Yolen. Contains a bibliography. 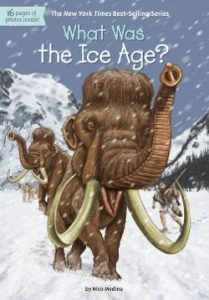 Describes the conditions that led to the ice age and the animals and people that lived during that time. 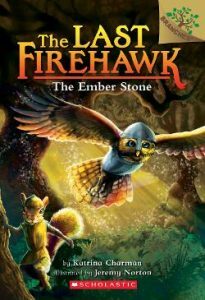 A small owl and a squirrel battle their way across Perodia to find the ember stone and defeat the evil vulture, Thorn. 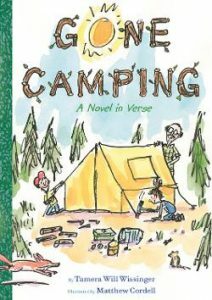 A family’s experiences camping are described in 44 poems using a variety of poetic forms. Thirteen chicks have just hatched at Agatha’s school. 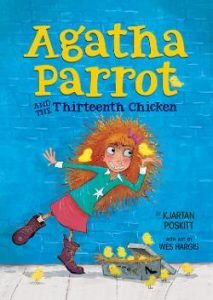 She and her three friends are going to babysit the chicks – that three chicks each and Random (the 13th). When they get back to school there are only 12 chicks! Where is Random? 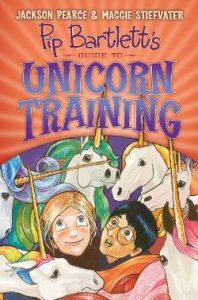 Eric spies an injured unicorn in the woods and sees it go into his grandmother’s old barn. 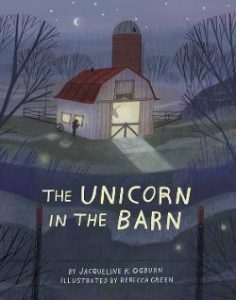 The barn’s new owner is a vet and Eric helps them care for the unicorn and other magical creatures in Harper’s woods. 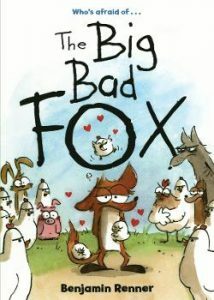 Fox is unsuccessful as the terror of the barnyard – the hens beat him up and not even wolf can help. Fox steals three eggs to raise his own dinner, but when the chicks hatch, they call him Mommy. Raising chicks is hard. Three funny stories about two friends. 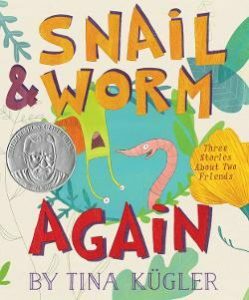 One story is about a penny that the friends think is a mirror – whose face, Snail? or Worm? Frankie is the new dog in the house and Nico the resident dog doesn’t want to share. 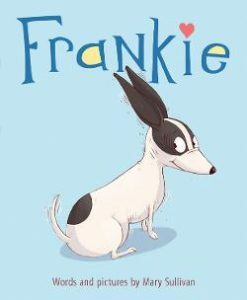 Frankie finds items to make-do until he receives his own doggy things and shares with Nico. Before Renato and his family left Italy during the war, his father built walls to protect the sculptures. 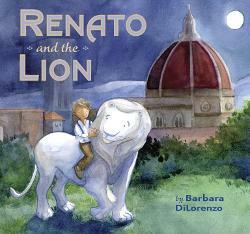 Renato wanted to protect the lion statue in the piazza, will there be enough time. Based on events in Florence. Honey is always working in her garden and soon the little girl across the fence is helping. 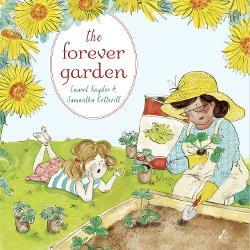 When Honey moves away, she leaves the garden for the new people and the little girl introduces them to the wonders of the garden. 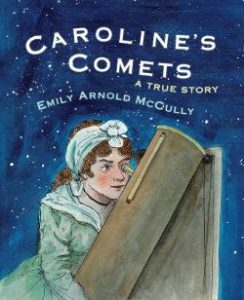 Caroline Herschel became the first woman to discover a comet and to be paid for her scientific work. Depicts her difficult childhood and future as a housekeeper with excerpts from her diary. Includes extra information. 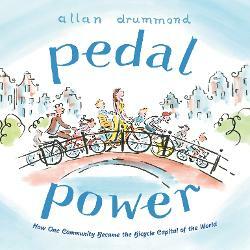 Describes how a group of moms made Amsterdam safer for bicycle riders and promoted cycling for everyone. The Chicken Squad and J.J. are on a road trip to visit relatives. 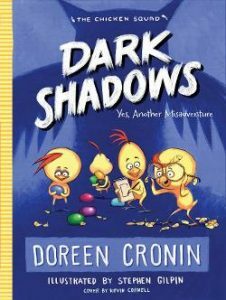 Once there they meet 85 cousins whose names start with the letter B and encounter a mysterious “chicken” that steals their jellybeans. Let the sleuthing begin! Molly, a foster girl, helps an elderly woman organize her attic. 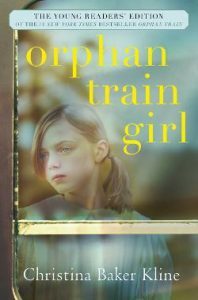 Through the items they find, Molly learns of another girls’ life on the orphan train which helps her deal with her own problems. Bird and Squirrel are back and want to throw a party for their friends. 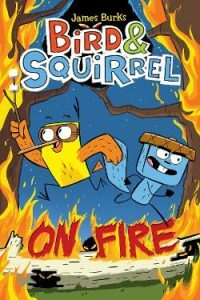 But first Squirrel needs to clean the house and they have to solve the problem of a beaver’s dam drying out the forest. 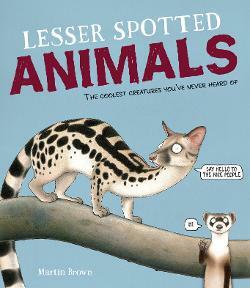 Describes animals that are not normally covered in animal books including the numbat, zorilla, onager, gaur, hirola and 16 others! Includes glossary. 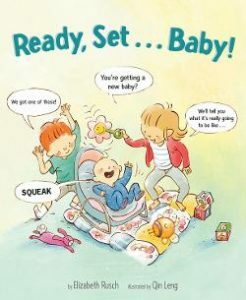 Anna and Oliver explain what a sibling (and parents) need to know about a new baby. Includes additional information about babies and for parents. 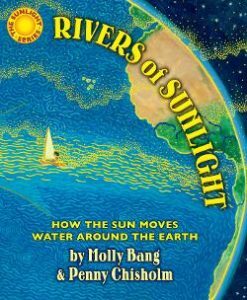 Discusses the role the sun plays in the water cycle and moving water around the earth. Bob is bored and he and his friend go on a boat ride. 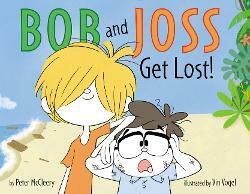 Bob and Joss get shipwrecked on a deserted island after a storm or do they? 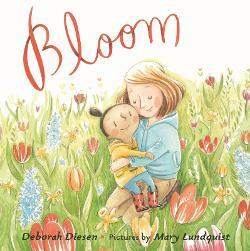 A young girl and her mother plant fall bulbs and wait for them to bloom. While they wait they are busy creating memories and growing too. 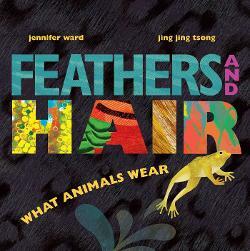 Brightly colored illustrations and lively rhymes provide a look at a variety of animal coverings. Nicholas tries to be brave like his dad, however it’s his toy dinosaur that’s the brave one. 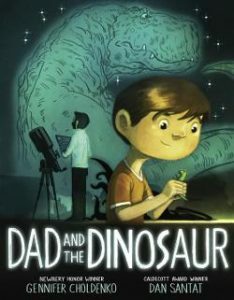 After Nicholas loses the dinosaur his dad helps him find it on the soccer field. 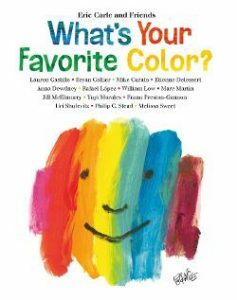 Fifteen illustrators draw with their favorite colors and explain why they chose that color. Includes notes on each illustrator. 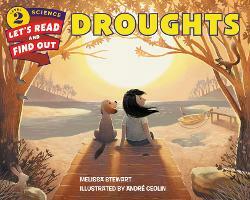 Explains how droughts happen and how it impacts the area. Includes additional information and activities. 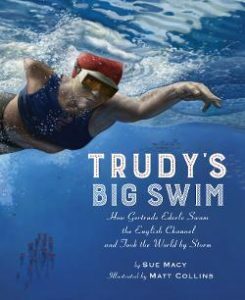 Recounts the history making swim by Gertrude Ederle across the English Channel with its many dangers. Includes additional information. 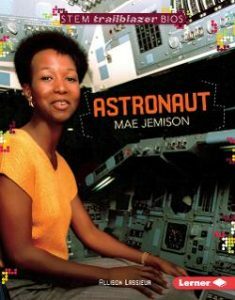 Follow the journey of a Star Trek loving girl to becoming the first black woman astronaut. Includes additional information. 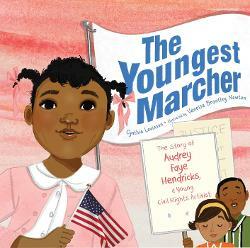 See the Civil Rights Movement through the eyes of the youngest participant. Includes additional information. 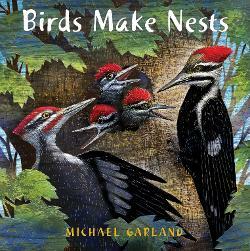 Describes the different kinds of nests birds use and the places they can be found. 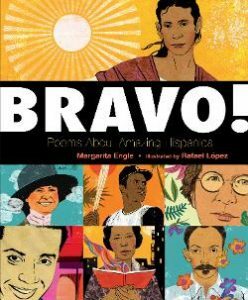 Eighteen biographical poems describe a diverse group of famous Hispanic people throughout American history. 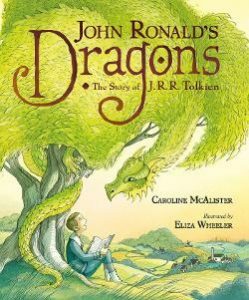 As a boy John Ronald imagined dragons around him but didn’t find any. 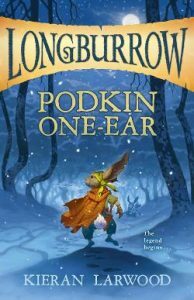 As an adult, he was able to populate a whole world with dragons and other characters for readers to enjoy. Includes additional information. 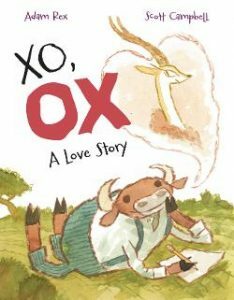 Ox unsuccessfully woos gazelle through a series of letters. 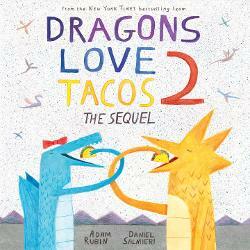 When the world runs out of tacos, the dragons join a boy and travel back through time (with a few mishaps) to bring tacos back. 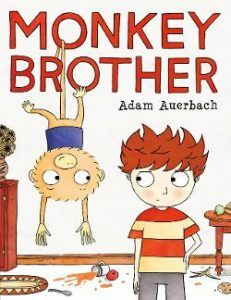 Little brothers can be annoying, but what if your brother was a monkey? Would there be special monkey mischief? 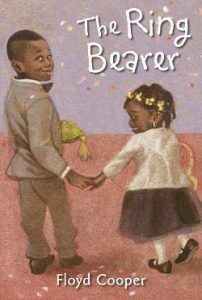 Explores sibling rivalry and unconditional love. 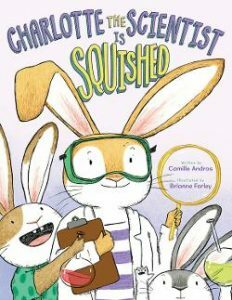 Charlotte, a rabbit scientist, doesn’t have enough room in the burrow to conduct experiments. She tries to use scientific method to find a new lab. Will she have to go to space to find space? 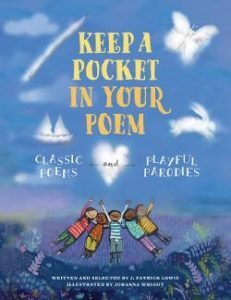 Parodies are provided for thirteen classic poems. Both versions are included. 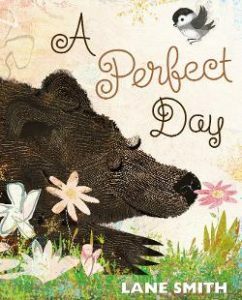 Explores how different animals have their own version of what a perfect day might be like. Joplin takes a tin fill with a broken platter from her grandfather’s house as a memento. After the platter is repaired, Joplin wishes for a friend and the girl from the plate appears and can grant wishes. 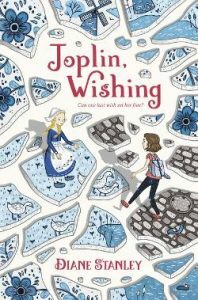 Joplin must outwit the magician and send Sophie home. Celebrates all things round found in nature. 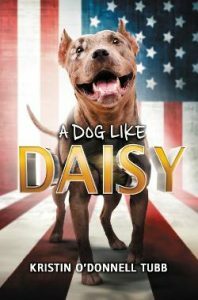 Daisy tells how she goes from a shelter dog to service dog trainee and finally ends up as the family pet. All Alec wants to do in the after school program is read his favorite books. 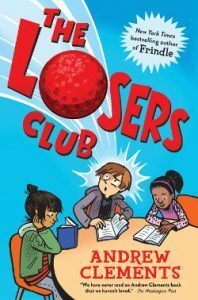 He creates the Losers Club so he can read in peace. How did the club become so popular? Alfie is usually a rule follower but when she has an opportunity to get a kitten, she does. 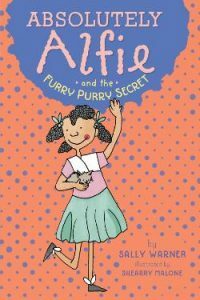 What will the consequences be for her furry secret? Big Cat lived alone until the day a new cat came. Big Cat had to teach Little Cat the ways of the household. 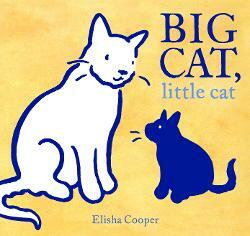 Little Cat grows and eventually Big Cat has to go away. Little Cat is alone until a new cat comes. 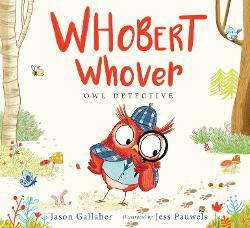 Whobert, the owl detective, tries to determine who kill Percy Possum. After questioning and accusing everyone in the forest, Percy was just playing possum. 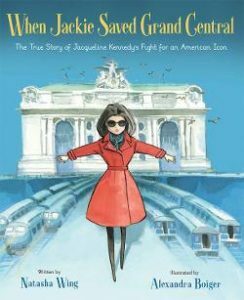 Describes how Jacqueline Kennedy was instrumental in the fight to save Grand Central Station in New York City, as well as many historical treasures in the White House. Includes additional information. 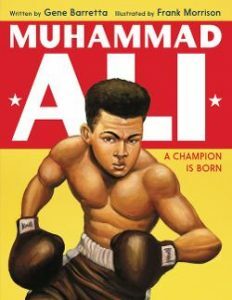 Provides highlights about Cassius Clay/Muhammad Ali’s life. Includes additional information. 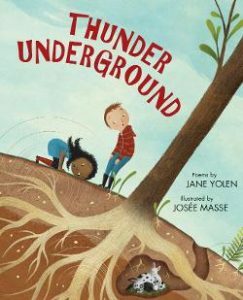 Twenty-one poems describe things found underground including ant cities, rabbit warrens, pirate treasure and subways. 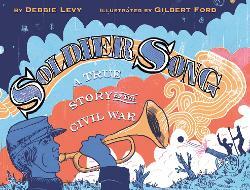 Includes additional information about the poems. 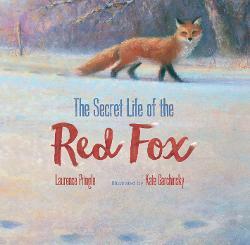 Follow a red fox though a year of her life, hunting for food, escaping danger and raising kits with her mate. 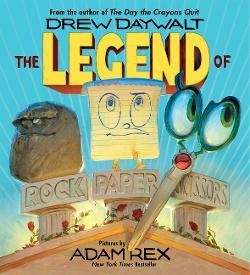 Describes how the first epic battle between Rock, Paper, and Scissors gave birth to the game. 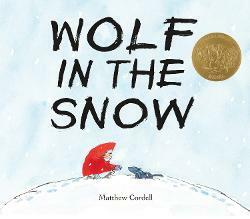 A young girl helps a wolf cub find his pack during a blizzard. The pack then ensures the girl’s family finds her. After the Battle of Fredericksburg, the Union and Confederate soldiers wintered on opposite sides of the river. They “battled” via songs until Christmas when both sides played “Home Sweet Home”. Makes a compelling argument for saving and nurturing bees to help the planet. 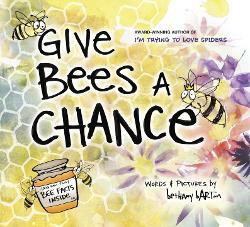 Provides a great introduction to bees. 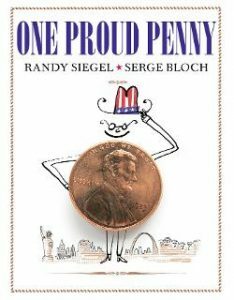 A penny describes his adventures from being minted to traveling around the country. 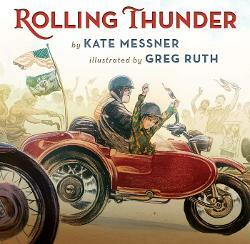 Includes a history of coins, penny facts and additional resources. 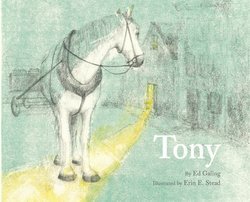 A lyrical tale by the late poet follows the simple but powerful tale of a boy, his horse and their enduring friendship. 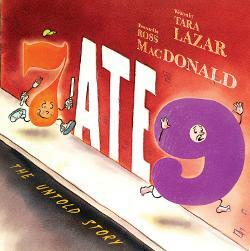 The Ale Bet Detective Agency sets out to find out what happened to 9 in this pun filled math mystery. 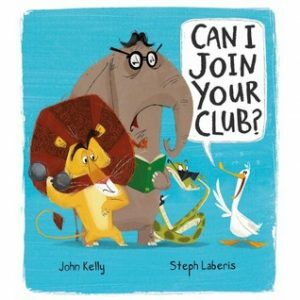 Duck asked many animals if he could join their club. Even with his disguises, they turned him down. Duck created his own club and let everyone join because you can never have too many friends. 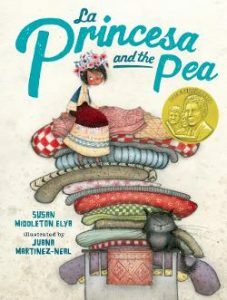 The prince adds a few items of his own to make sure his princess passes the mattress test in this retelling of the “Princess and the Pea”. The rhyming text also has included some Spanish words. 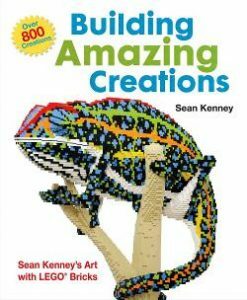 Sean Kenney describes over 800 of his amazing LEGO® sculptures. This is not a .how to build it guide but show what can be constructed with these little plastic blocks. 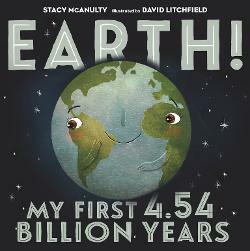 Earth gives an overview of its first four and a half billion years in an entertaining format.. Includes additional information. 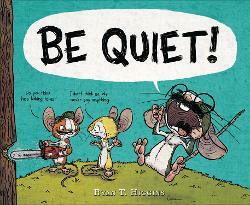 Rupert is very excited about writing his own wordless book, but his two chatterbox friends have other ideas! 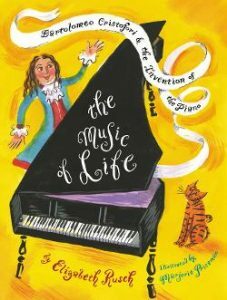 Recounts how Cristofori invented the piano so that loud and soft notes could be played on the same instrument. Describes the changes fall brings and how it affects all the senses. 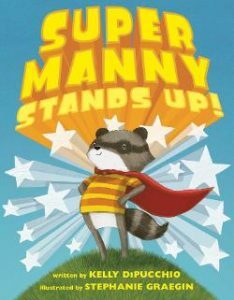 Manny imagines battling different kinds of evil wearing one of his many capes. One day at school he uses his invisible cape to stand up to a bully and rescue a small friend. 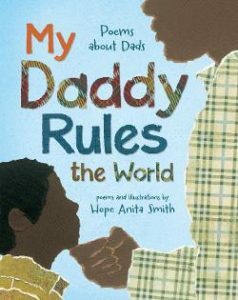 Fourteen poems celebrate different aspects of fatherhood from play catch to reading together. Magic portals allow a group of kids to search for answers in the hour before the museum opens. Each child has a specific question about the water cycle to investigate. 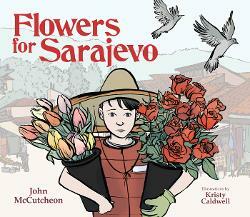 A young boy runs the family flower stand in Sarajevo while his father is at war. One day the bakery bombed and 22 die. A cellist plays to honor each of the dead and to bring beauty back to Sarajevo. The boy does the same with his flowers. 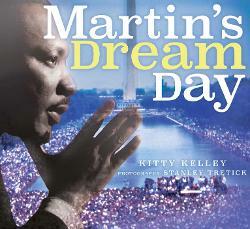 Includes background information and CD. 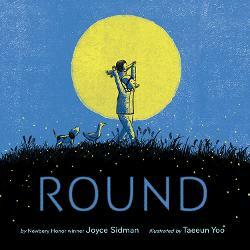 Rhyming text explores the different sounds animals make and invite the readers to make them too. 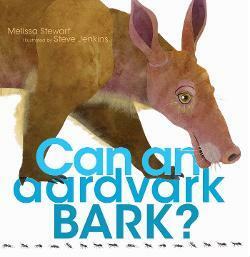 Includes additional information about animals that make like sounds. 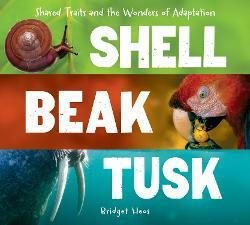 Describes how animals develop traits and adapt to survive. 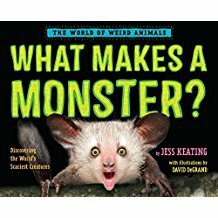 Shows how related animals in different parts of the world have evolved in similar ways and how they use the adaptations to thrive. 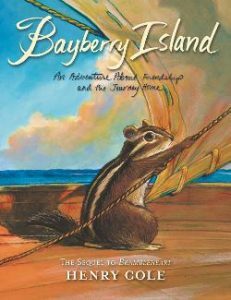 As a child Elwyn was sickly and befriended a mouse to have adventures with around the farm. Later he kept a journal reflecting the things he saw around him and developed a love of words. 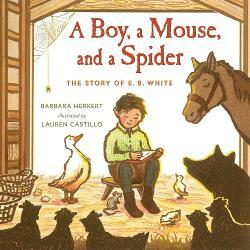 Those experiences led to his writing Charlotte’s Web and other cherished stories. 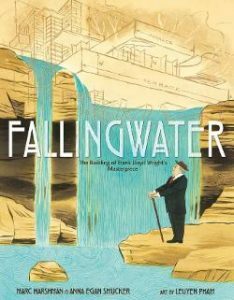 Describes how Frank Lloyd Wright designed and built Fallingwater in Pennsylvania. Includes additional information. 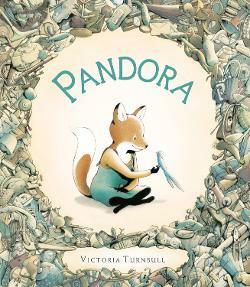 Pandora lives in a world of broken things in a house she constructed herself. One day she finds a bird with a broken wing and nurses it back to health. The bird helps bring the blighted land back to life. 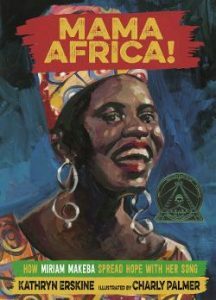 Recounts how Miriam Makeba used music to fight racial inequality. Includes additional information. A beloved teacher is retiring. She and her students find ways to make the last weeks special. 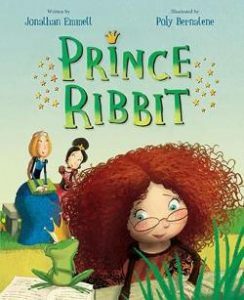 Sisters discover a talking frog and decide it must be like the fairy tale and he a prince. A third sister does some investigating and thinks its just an intelligent frog. Just because its in a book doesn’t make it true–or does it? 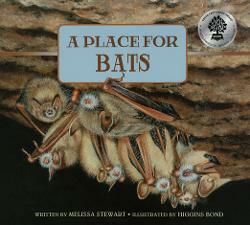 Explains ways to help bats to survive and describes a variety of bats. Includes additional information. 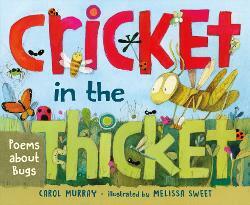 Twenty nine poems share facts about bugs, including dragonflies, cicadas and cockroaches. Includes notes on each bug. 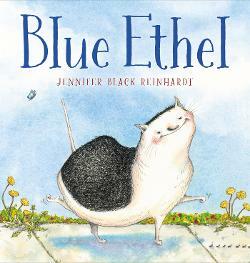 Ethel the cat was very set in her ways until the day she accidentally rolled on a chalk drawing and turned blue. After some reflection, Ethel is a black and white cat unless she chooses to be another color(s). 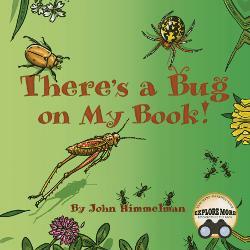 When reading outside in the fresh air, one will encounter a variety of insects on the book! The reader will have to manipulate the book to save the beetles, snakes and other creatures. 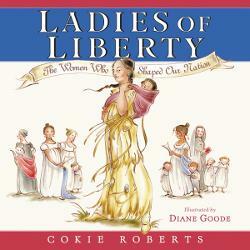 Provides short biographies of influential women living from 1727 to 1825 in America, including Sacagawea, Eliza Hamilton and Louisa Adams. 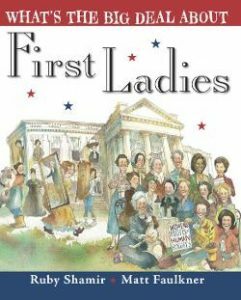 Introduces the first ladies and provides interesting facts about them and their job. Includes additional information. 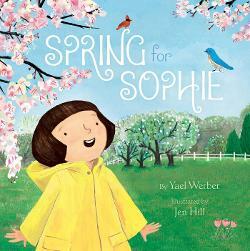 Sophie uses all her senses to look for signs of spring’s arrival. 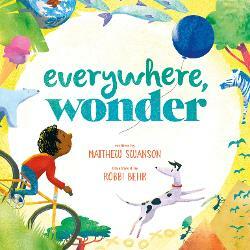 In the world of books or in the real world there are things to wonder and marvel about if you just look. 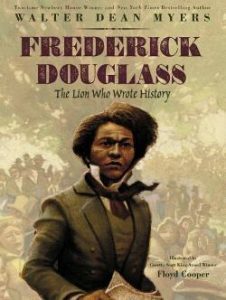 Frederick Douglass believed that once you learned to read, you will be forever free. This former slave became a abolitionist leader, writer, speaker and reformer. Includes additional information. Jackson is worried about being the ring bearer in his mama’s wedding. Watch as he takes his responsibilities very seriously and saves his stepsister, the flower girl. 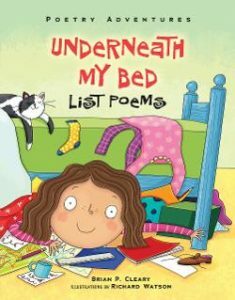 Provides examples and how to write list poems. Includes additional information. 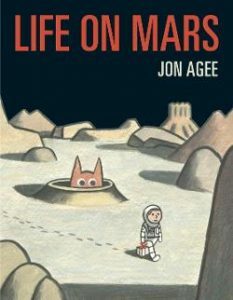 A clueless astronaut searches Mars for someone to share his cupcake. A shy creature helps the boy to find his way home. 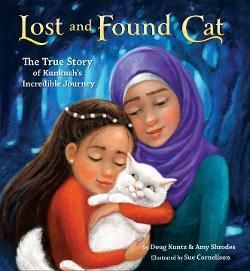 A refugee family loses their cat on their journey from Iran to Greece. Volunteers in a small village find the starving cat and begin a worldwide search to find its family. Includes additional information and photographs. 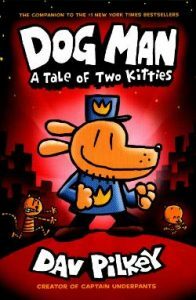 Dog Man must apprehend Petey the Cat before he can unleash any of his vile inventions. But Petey has a small kittenish complication. 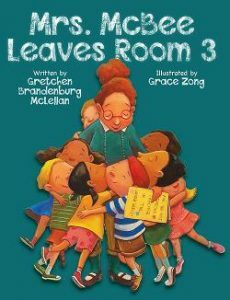 Class room pets overhear a plot to ruin the art show while making a special gift. 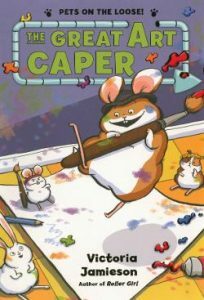 Will a hamster, a rabbit and a guinea pig be able to stop the evil Harriet and her minions? Zara’s dog, Moose, keeps following her to school and is sent home. Zara comes up with a plan that makes everyone happy and Moose a therapy dog. If you were a little girl that listened to stories , read books, listened and watched carefully, what could you be? 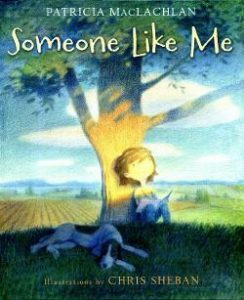 Possibly an author like Patricia MacLachlan? Priscilla has always loved gorillas because they always get their way. When she wears her gorilla suit for dress up day, her attitude lands her in the thinking corner. 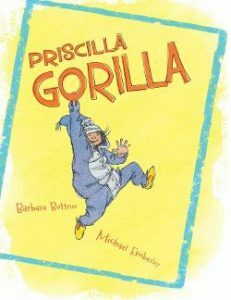 Priscilla and her teacher have differing opinions on how a gorilla should behave in the classroom. 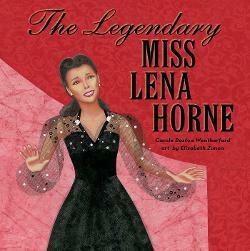 Provides a look into the life of Lena Horne, actress, singer and Civil Rights activist. Contains additional information. Summarizes the work of Martin Luther King and focuses on his “I Have a Dream” speech given at the foot of the Lincoln Memorial after the March on Washington. 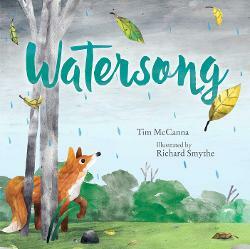 A fox seeking shelter from a rainstorm is told through onomatopeia and rhyming text. Includes additional information. 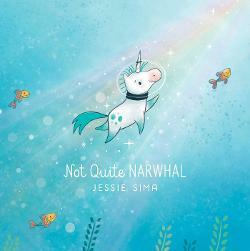 Kelp was born in the ocean but he wasn’t like the other narwhals. He had a short horn but wasn’t a good swimmer or liked to eat seafood. Then one day he discovered a unicorn…could he be one of those? 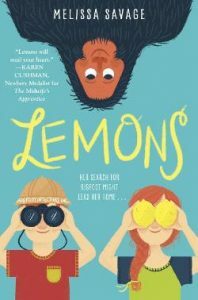 Lemonade goes to live with her grandfather after her mother dies. 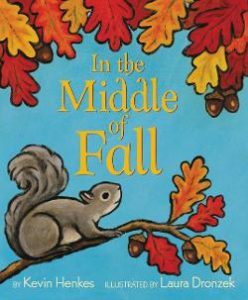 She becomes involved in a search for bigfoot and finds friendship, a new home and a surprise in the woods. 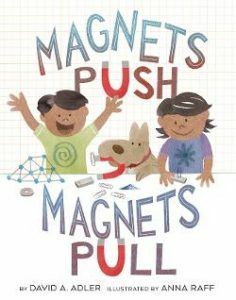 Introduces magnets and their properties to young readers.